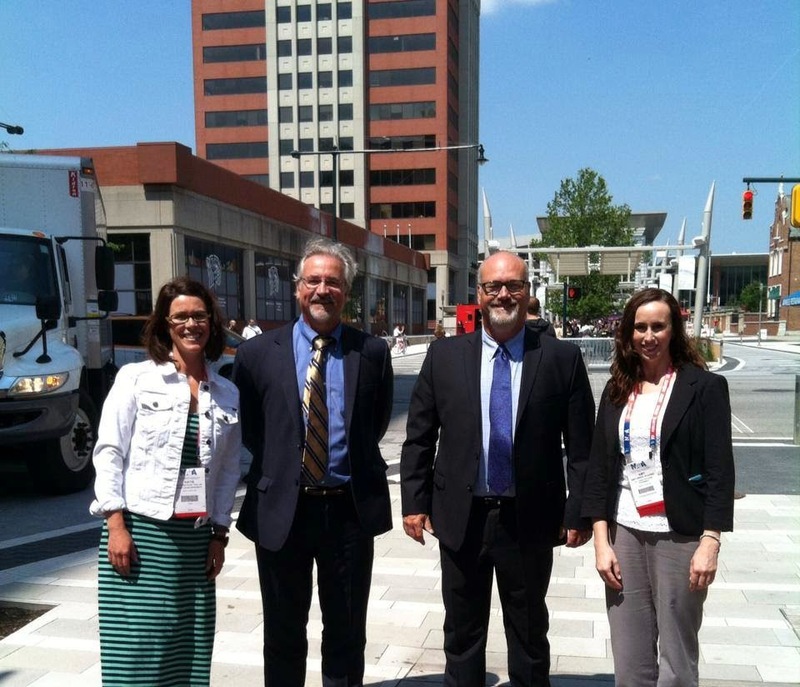 The National Athletic Trainers' Association 65th Clinical Symposia and AT Expo took place in Indianapolis, Indiana on June 25-28, 2014. In addition to participation in professional development and committee work, SLU AT Faculty participated as presenters in the event. 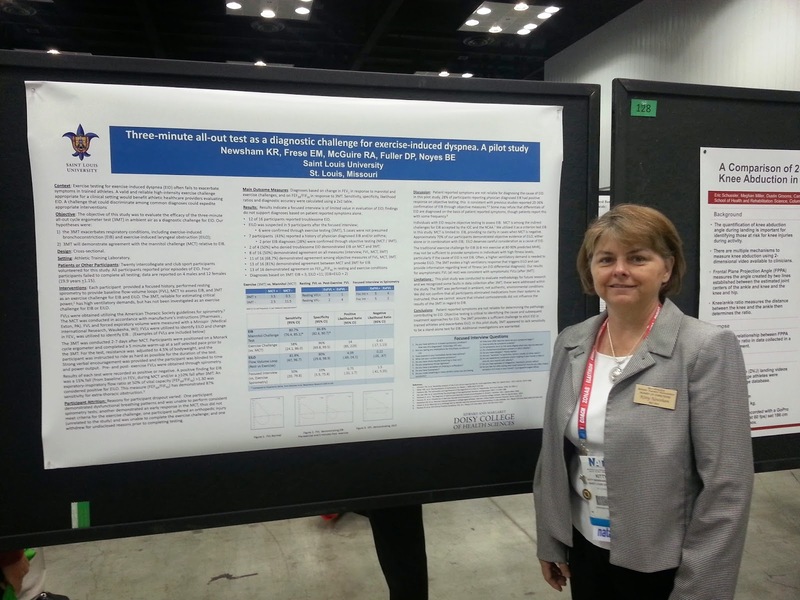 Dr. Kitty Newsham presented a poster entitled "Three Minute All-Out Test as a Diagnostic Challenge for Exercise-Induced Dyspnea, A Pilot Study" in the Free Communications Session on Thursday, June 26, 2014. Dr. Anthony Breitbach participated as a presenter in a Feature Presentation entitled "Interprofessional Management of the Diabetic Athletic" along with SLU AT Medical Director Dr. Tyler Wadsworth, St. Louis College of Pharmacy faculty Dr. Amy Drew and SLU Nutrition and Dietetics faculty Dr. Katie Eliot on Friday, June 27, 2014. 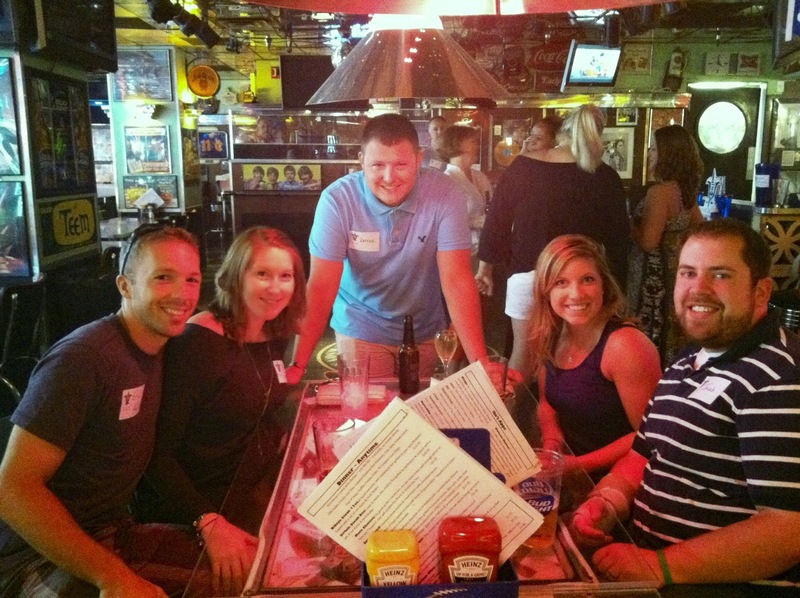 The SLU AT Program, along with the Alumni Office at SLU, hosted an event on the evening of Friday, June 27, 2014 for SLU Alumni and friends at Ike and Jonesy's Restaurant in Indianapolis. SLU AT Alums Sarah Hall, ATC Derrick Neuner ATC, Lizzy Kienstra ATC and Jacob Blasingame ATC at SLU Alumni Reception. Overall, it was an outstanding week of scholarship, service and fellowship! We look forward to welcoming the 66th NATA Clinical Symposia and AT Expo to St. Louis on June 23-27, 2015.